"Draw & Code – Magic Leap Creators"
Draw & Code are proud to announce that we are official Magic Leap Creators. This means that we have been granted early access to the Magic Leap One headset and are currently engaging in R&D ahead of potential commercial work using the near fabled mixed reality device. Why is this so exciting? We have long viewed the work of Magic Leap and other trailblazers in the AR and MR space as the next vital step in computing and it is a thrill to play a small role in the ongoing development of this new direction for technology. As Draw & Code regulars will know, we have been acolytes of augmented reality since our inception. There have been a few platforms and devices that have got us as excited, but none have quite captured the imagination of the immersive tech community like Magic Leap. Although we were able to try the technology before the public unveiling of the Magic Leap One Creators Edition headset, it took until this autumn for us to start working with it. 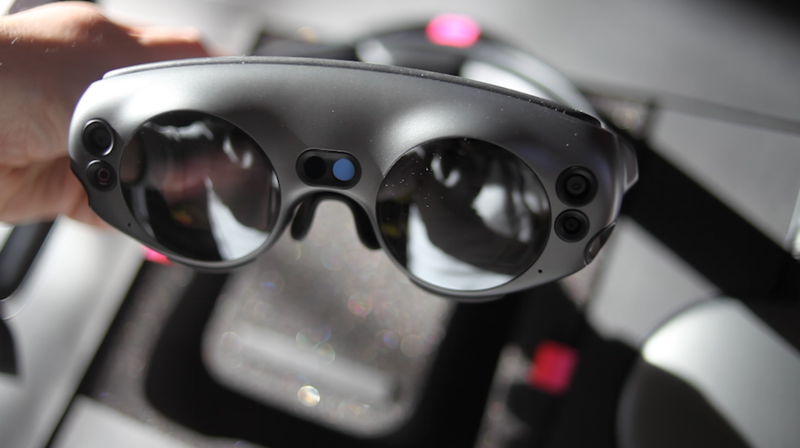 Meanwhile, our creative technologist in-residence is, er, not in residence as John Keefe is over at LeapCon – the first Magic Leap developer conference. With announcements by Magic Leap tech partners such as Sennheiser (Draw & Code are official Ambeo AR developers too don’t you know) and creators such as Lucasfilm (they made an AR Porg game!) its sure to give us all the inspiration we need to make the ML One sing.